When I was diagnosed with fibromyalgia, the rheumatologist (who I never saw again) told me fibromyalgia was related to being a perfectionist, and I needed to exercise. And that was it. That was all that his many years of training and experience could bring him to say. When I told a family member (who shall remain unnamed) that I was diagnosed with fibromyalgia (just like his sister had been), my unnamed family member replied with, “She’s crazy!” (meaning the sister, of course, but implying that those with this diagnosis are crazy). He was a mental health professional. Now, before I go any further, I should tell you I am also a healthcare professional, a bachelor-prepared registered nurse of 25 years. I was taught that nurses are healthcare advocates for their patients. I took a Florence Nightingale pledge to care for my patients compassionately and be their advocate. I take this very seriously. I choose to believe that all healthcare professionals go into the field of medicine to help people. We all take a pledge when we graduate. Yet when I got out of nursing school, I was surprised to find that so many doctors and nurses are what I call “jaded.” They have become burnt out in patient care and become immune to people with pain or other illnesses they cannot understand. They have worked a long time (most of them), and are just trying to get through their unbelievably hectic shift. Doctors have even longer shifts to work than nurses, but in my experience, I think many also have something else working against them: the belief that they must always know what their patient is experiencing and must also be able to fix it. When one or both of these things becomes untrue, I think it is extremely hard for the typical physician to say, “I don’t know, and I can’t fix it.” Those doctors willing to say this are good doctors, indeed, because they recognize their own humanity. Those that cannot say this tend to call everything they can’t understand or fix a “psych” problem – something the patient has made up or that their mind has created in their physical body (psychosomatic illness). Most doctors were taught about algorithms and medicine (pills). They were not taught about the mind-body connection or the possibility that there is a definite spiritual and emotional connection to physical illness. And many of them have never experienced what their patient is going through. Many surgeons have not actually had surgery or experienced real pain, yet they are expected to treat it. Most rheumatologists do not know what lupus or fibromyalgia feels like and must, instead, rely on what research studies have told them about their patients’ pain and pain management. Many may also not have been taught about natural health remedies and, therefore, may have a general mistrust of anything labeled “natural.” All of these things combined can put them at a severe disadvantage when trying to treat pain. I am just going to say it as I believe it to be true: pain is usually assessed and addressed by the subjective opinions of uninformed, inexperienced and, often, non compassionate people who just don’t get it. There. I said it. These healthcare professionals should be able to say, “I just don’t know, but I am so sorry you are going through this.” But it is very hard for a doctor to not understand and admit that they don’t. And, unfortunately, the younger doctors learn from the older doctors, and so many of the younger doctors adopt the same attitudes. This is true of many nurses as well. In their defense, I will say that many of the people we see at the hospital who are complaining of pain do often seem in some ways like they are drug-seeking. They come in with positive urine screens for illegal substances. They sometimes lie about their history. They hop from one hospital to the next, and back again. They tend to come in often, while missing their own appointments with their specialists. (Hear me, chronic pain and invisible illness patients when I say, please don’t do this because it truly makes a patient look “suspicious.”) Some of the time it is hard to distinguish between the ones who want pain medicine and the ones who are truly in pain. It is hard to help someone with an invisible illness in one short hospital stay and is usually best for the patient to go to their own doctor for pain management needs. I try to encourage anyone who is in chronic pain and who has a chronic invisible illness to get established with a good doctor that believes what their patients say. Try not to use the emergency room, as it is for true emergencies. Healthcare workers in the ER get frustrated with this and are less able to be compassionate to those patients who have symptoms that don’t add up with what they see. Chronic illnesses are better dealt with by a specialist, not ER personnel. 1. Realize your healthcare professionals are human and can make mistakes. They get tired. They get frustrated when they can’t help a patient, because most of them truly do want to help their patients. 2. Always bring all your medications to every doctor appointment and ER visit. Bring your own hospital records when you go to a new doctor or make an ER visit. Physicians need to see your history, and when you are able to give it freely and openly, they are usually more able to help you, and more importantly, believe you. Be as transparent as you can be, and always let them know what you are doing to better your own health, for instance, participating in therapy or medical education. 3. When you go to the ER or hospital for surgery or a short stay, please expect that there will be long waits. There are a lot of people who need help, and most hospitals and ERs are overloaded with patients. Always bring someone with you who is able to be your advocate, track down the nurse when you need something and provide for your immediate comfort needs (such as help to the bathroom or a drink of cold water). 4. Try to be as unemotional as you can when giving your history, and just give the facts. That is how doctors are taught to receive information. They need the black and white details and get frustrated without them. When you do this, they are then more prone to believing you, rather than when you are emotional. Think back to the childhood story about the proverbial boy who cried wolf. If you cry “wolf” all the time, your healthcare professionals won’t know when to believe you. 5. Don’t expect your nurses and/or doctors to be able to meet all your needs. In medicine today, there are case managers, social workers, discharge planners, therapists and educators who all have different roles in providing for your needs. Find out who the right people are to arrange for medical equipment, give insurance information/assistance, teach and provide patient education and provide for various therapies. 6. Always get a second opinion and find specialists for your medical needs, even if it means looking outside your current location. Don’t keep going to a doctor who is truly not helping you or isn’t complying with standards of care. Research your diagnosis so you will know what appropriate standards of care are and what treatment options to discuss with your doctor. Be careful about appearing “cocky” with the information you have researched because many physicians don’t know how to respond well to a patient who may know more than they do about a particular illness. 7. Find support for your own needs, including encouragement groups online (such as God-Living Girls for women with chronic illness), support groups with others who share your diagnosis and friends who truly understand your pain. Don’t always expect your immediate family to be able to understand and help you with your medical needs. If they don’t have a chronic illness, they probably won’t get it. They don’t understand, and they probably need their own support system as the caregiver of someone who has a chronic illness. 8. It may be helpful for you to know that new healthcare regulations have changed the way doctors can administer pain medications and when pharmacies can dispense them. The new laws require that patients sign a pain contract, which usually states that you will only get your pain medications from the doctor with whom you have signed the pain contract. Physicians take this very seriously and will discharge you from their care if you get pain medications from any other doctor. The new laws also require a urine drug screen once per year. This is not only to check for illegal substances, but also to make sure you are being compliant with their current therapy (taking their ordered pain medications). The new laws also have specific time frames for how soon you can refill your medication and how early the pharmacy can dispense it. They also require you to go to only one pharmacy for your pain medications. Hopefully, knowing this information will prevent unneeded frustration with your doctors who cannot dispense pain medications in a way that is outside these legal boundaries. As a nurse with fibromyalgia, I get it. I understand what you are going through as a patient who is frustrated with healthcare professionals that don’t always adequately meet your needs. It is so very hard on both sides of this healthcare continuum. I hope the above suggestions will provide you with resources you need to have better relationships with your doctors, nurses and other healthcare professionals. This post originally appeared on God-Living With Chronic Illness. 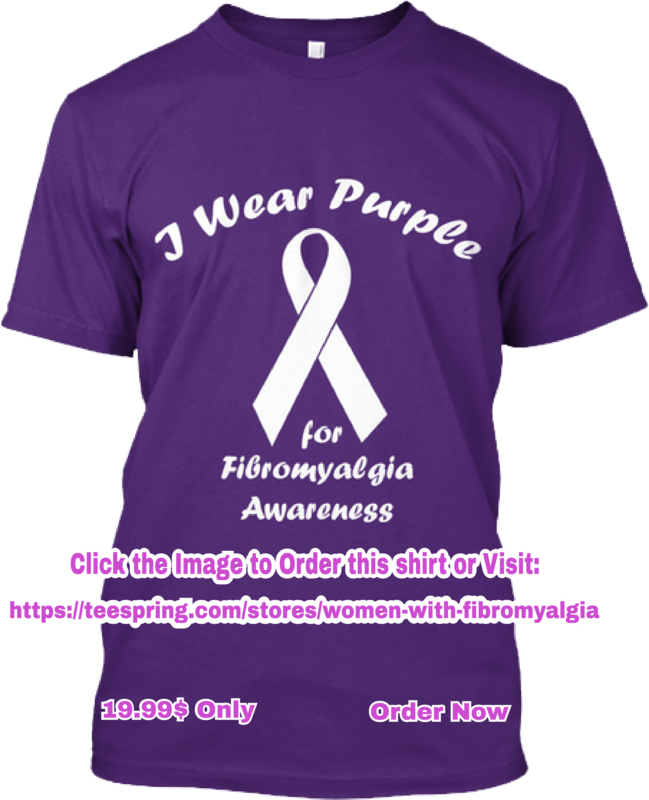 I think I’ve had fibromyalgia for many years but was diagnosed approximately 5 years ago. I was working at Walmart and was just exhausted. Not the tiredness that sleep helps. I mean totally exhausted, with muscle pain. My primary doctor diagnosed fibromyalgia. He prescribed Cymbalta around 4 years ago. Cymbalta was approved for Fibromyalgia treatment. Although it did relieve some of the pain, I still suffered from fatigue. November 2017 my doctor started me on Green House Herbal Clinic fibromyalgia Herbal mixture, 7 weeks into treatment I improved dramatically. At the end of the full treatment course, the disease is totally under control. No case of fatigue, muscle pain,mood swings, or nervousness. Visit Green House Herbal Clinic official website . I am strong again and able to go about daily activities.‌ This Herbal Formula is Incredible!! My life is back.